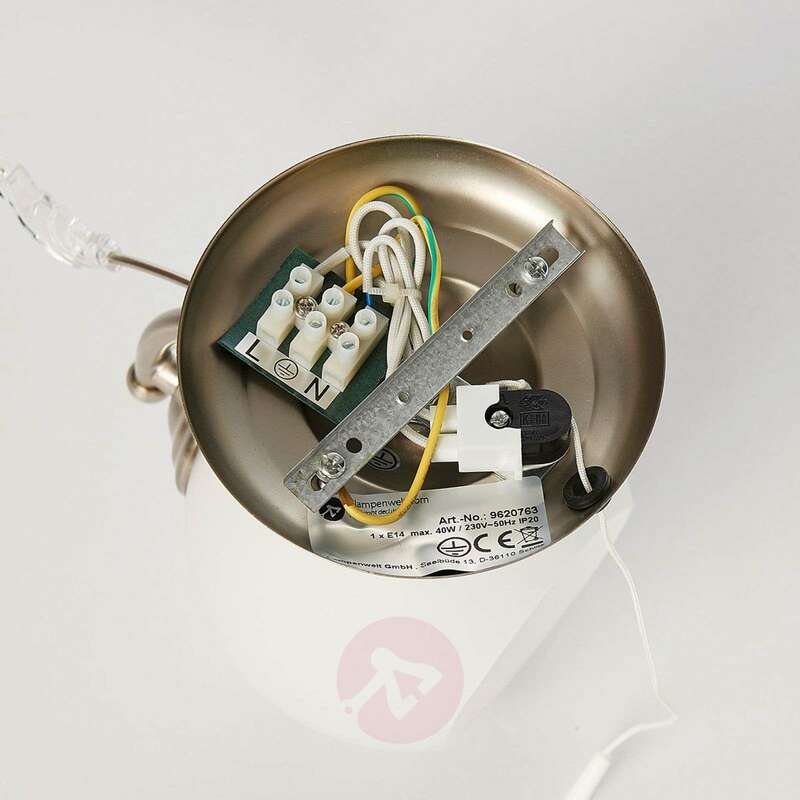 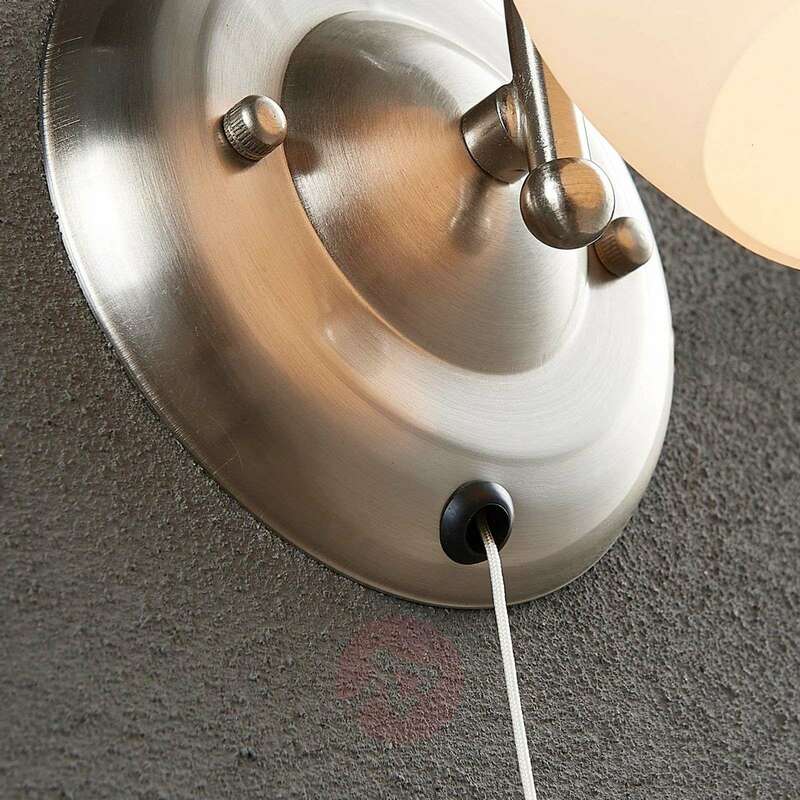 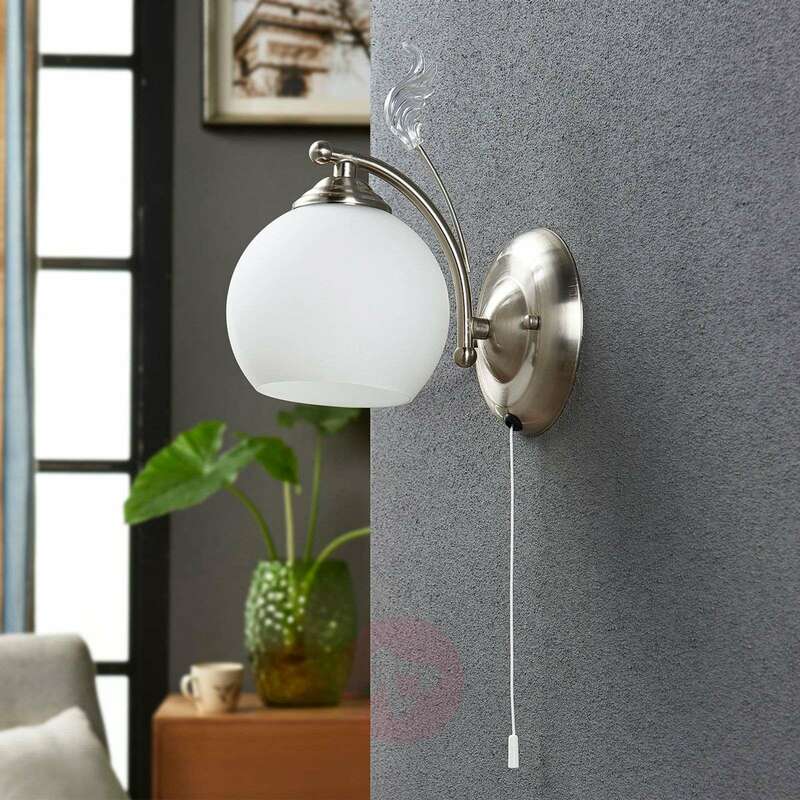 The pull switch is located on the wall mount of the Svean wall light so that only a few steps are needed to switch the light on and off. 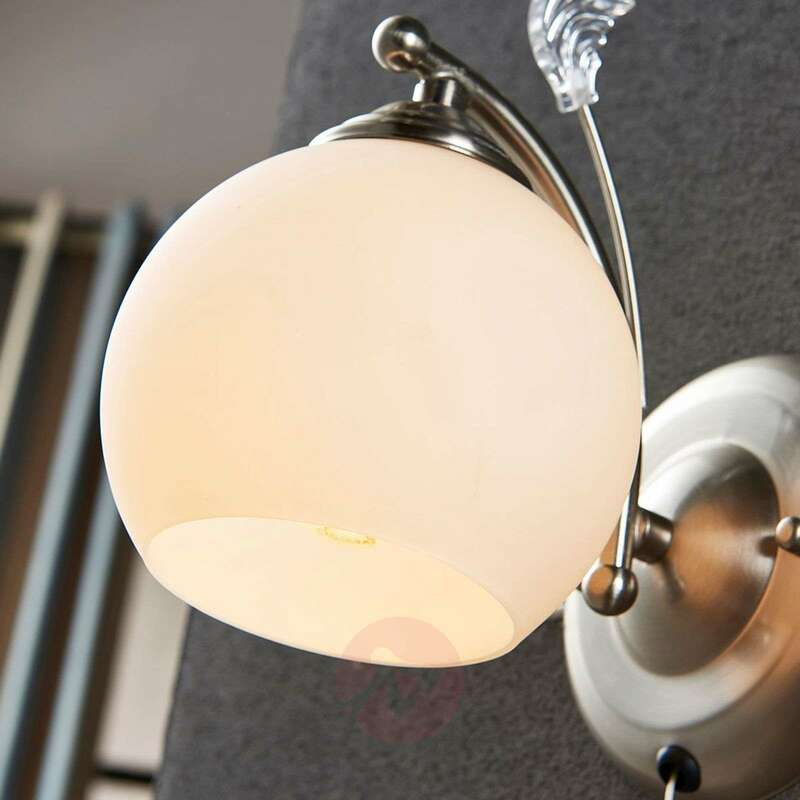 The opal white glass lampshade is rounded off by a frame with a nickel finish. 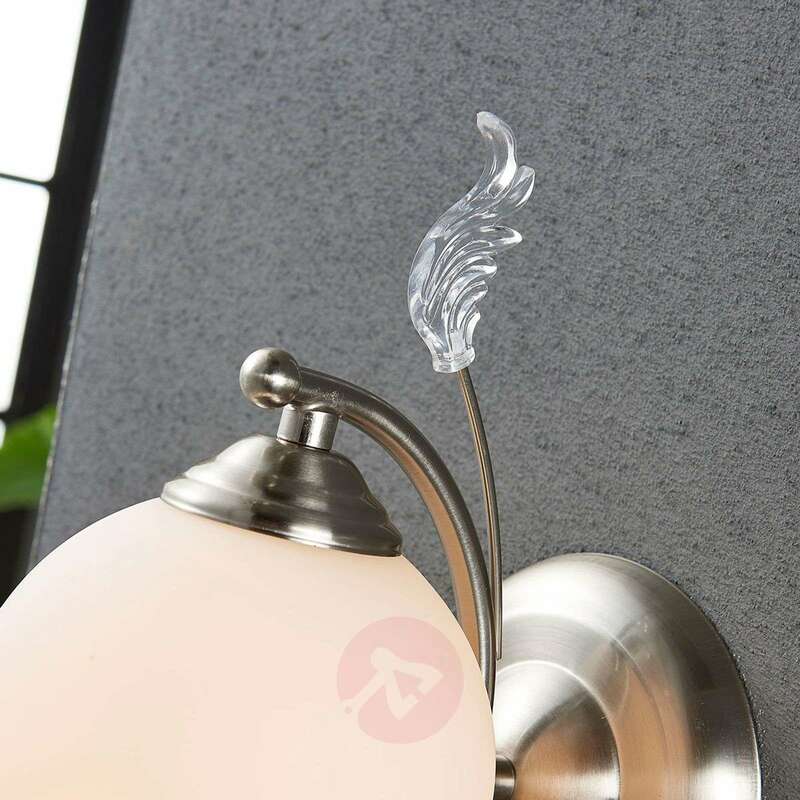 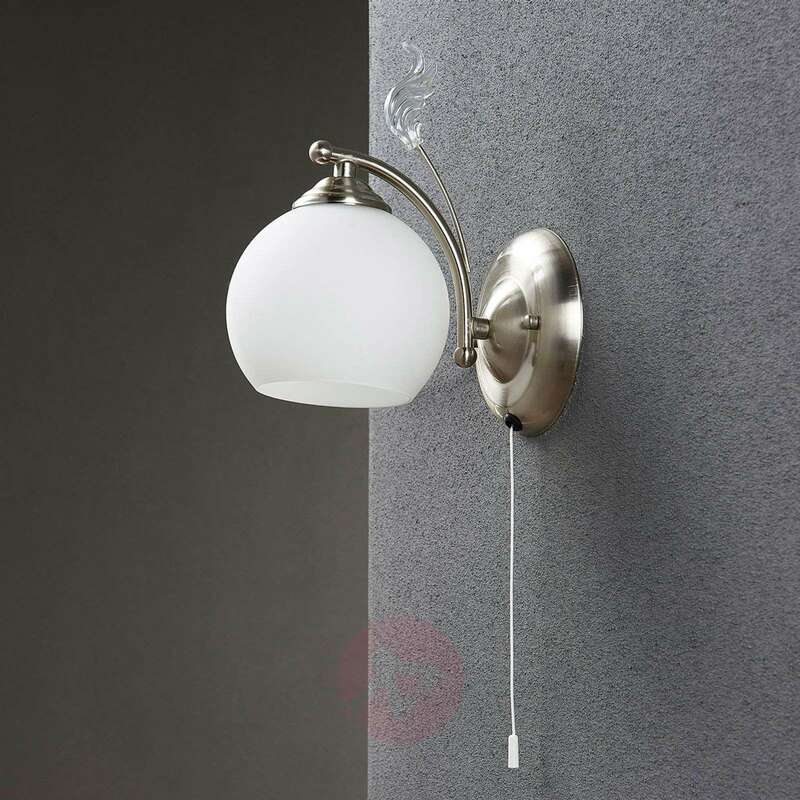 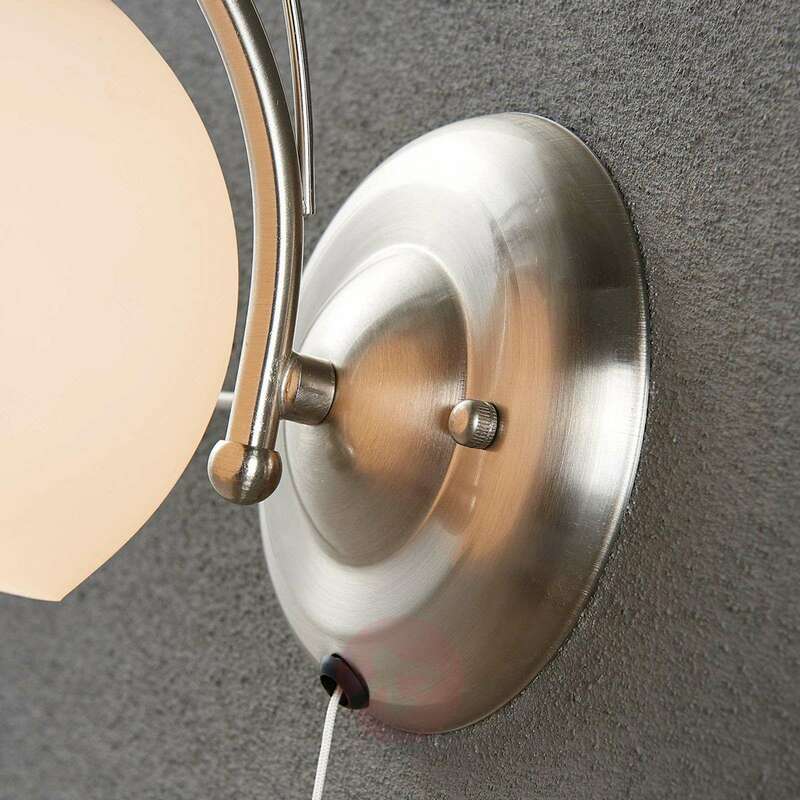 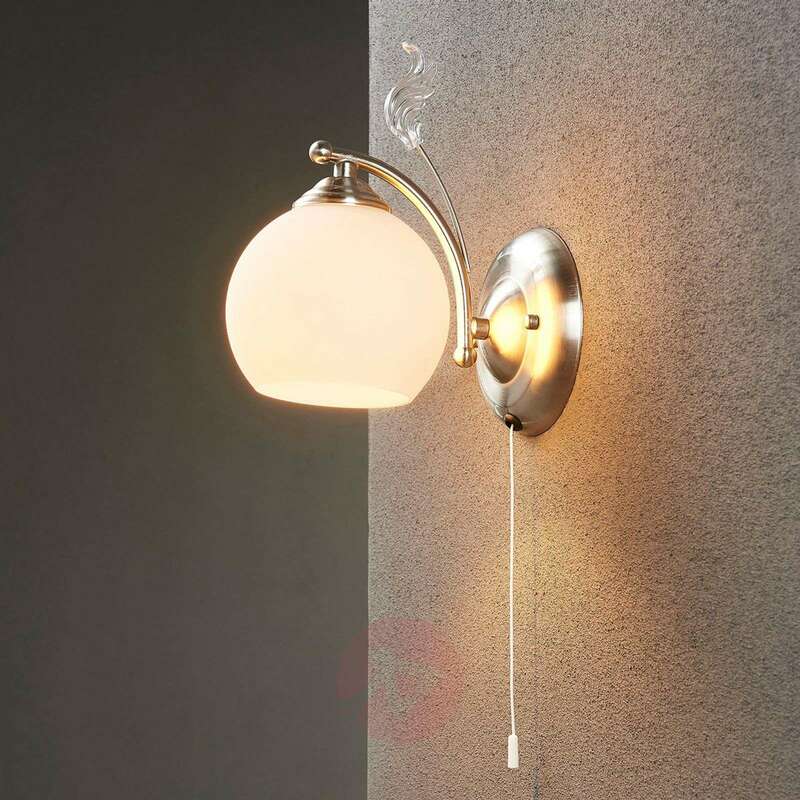 The wall light is suitable for installation in a living room or bedroom.